Introducing AresDB: Uber’s GPU-Powered Open Source, Real-time Analytics Engine — Uber, the ride-sharing service, is hugely data driven and they’ve built a significant system for doing large-scale analysis in real-time using GPUs for massive parallelization. This is a great tour of how it works, and here’s the code. NoSQL for the Serverless Age: Google's Cloud Firestore Now Generally Available — The Cloud Firestore database is a NoSQL, serverless solution for mobile and web application development, and is now generally available globally. Tired of Manually Revoking DB Creds & SSH Keys? 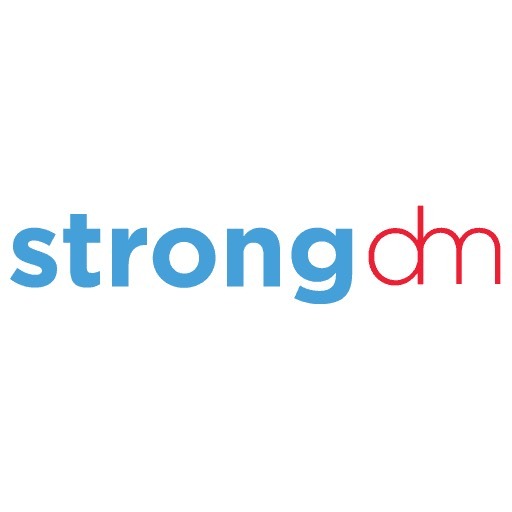 — "strongDM simplifies access management for our teams. It delivers the layer of security we've been looking for." - VP Engineering, Hearst MediaOS | Click here to see strongDM in action and schedule a demo. TimescaleDB 1.2: A Time Series Data Extension for PostgreSQL — A big week for TimescaleDB as not only have their open source and community releases got a few key enhancements (such as Postgres 11 support and new time-series analytics functions) but they’ve raised $15m and unveiled an enterprise offering too. Microsoft Accidentally Deletes (Some) Databases — The Register reports that an Azure outage earlier this week resulted in some customer databases being deleted but, thankfully, they were restored within 5 minutes. Operational Factors to Consider During MongoDB Data Modeling — Describes the major factors to consider when performing MongoDB data modeling including scalability, atomicity, performance / data usage, sharding, indexing, storage optimization, document structure, growth, and the data lifecycle. The Future of Data: A Decentralized Graph Database? — A paradigm shift is happening that will change the way companies store, compute and transmit data. Lessons Learned Scaling Postgres to 1.2 Billion Records per Month — The experiences of engineers building a cinema tracking service covering 3200 cinemas and 47,000 showtimes a day. They cover how they reviewed providers, experiences with materialized views, and using the database as a job queue. Data Management Falls Short for Unstructured Data — While most data-centric companies have solid strategies in place for structured data, current tools are proving insufficient for a wave of unstructured data growth. This topic is coming up a lot lately and I suspect there’s a lot of opportunity available. InfluxDays: The Only Event Focused on Time Series Data — Attend InfluxDays NYC on 3/13 and learn why TSDB’s are the fastest growing database segment. 20% off code: INFLUXDATANEWS. TrailDB: Efficiently Store and Query Series of Events — A library (implemented in C but with bindings for R, Go, Python and others) for querying series of events at ‘blazing’ speed. The Life of a SQL Query — What happens when you run a SQL statement? We follow a Postgres query transformation by transformation as a query is processed and results are returned.